It’s November and that means that it has been another year of Alice in Readerland! Their names: Rose (A Long, Long Sleep), Rose (yep, there are two, this one is from Cinders and Sapphires), Cinder (from Cinder, obviously), Em (All Our Yesterdays), and Persis (Across a Star-Swept Sea). 3 are from Science Fiction, 1 from Historical, and 1 from Dystopian. Three are brunette, two are blonde. Hands down, out of all of the books I read for the first time this year, Cinder by Marissa Meyer totally wins! Not only is it a favorite of mine for 2013, but it’s now one of my top favorites and the Lunar Chronicles are now my favorite series. I also enjoyed Scarlet and am so excited for Cress to come out! I recommended Cinder to an 11 year old girl who told me that she loved The Hunger Games, SciFi, and Fantasy. Before she was even a quarter of the way through the book, she emailed me to thank me for the recommendation and told me how awesome she thought it was! She kept emailing me her progress updates, about how she wasn’t even finished with Cinder, yet she couldn’t wait to get her hands on Scarlet and Cress. That made me so happy! I’m so glad she loved Cinder as much as I did; we’re currently chatting away about Scarlet now. …Then congrats! 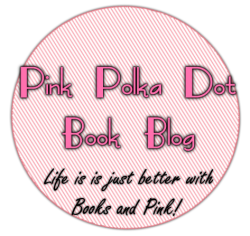 Your eligible for my giveaway! I’m giving away a choice of one of my top two favorite books I’ve read this year: Cinder or A Long, Long Sleep. The giveaway is open internationally, as long as The Book Depository ships to your country! The giveaway is open now through November 15th. Once the winner is notified, they will have 48 hours to respond. If not, another winner will be chosen. I hope you’ve all enjoyed wandering around Readerland with me this year! also so are you one of those rare people who enjoyed Cinder more than Scarlet?? PLEASE SAY YES! .. my reason is mostly because I like Cinder’s story better and… PRINCE KAI. I am halfway though Scarlet… so I could still like it better but I doubt it. I have to ask though, is this is the same 11 year old you recommended Divergent too? Thanks!!! :D YES! I am one of those! I don’t meet that many who feel the same way, but I love Cinder and Kai way more than Scarlet and Wolf! I enjoyed Scarlet, but Cinder is definitely my favorite book. I’m excited to see how Cress and Thorne turn out! I haven’t finished watching Sherlock yet, so I’ve got to finish watching before it starts again. I started watching Emma Approved too, although I liked the Lizzie Bennet Diaries better. Yes, this is the same 11yr old! Thankfully, she had been more interested in Cinder in the first place. After spending a day bemoaning the deaths in the HG books with me, I’m sure I would’ve gotten an angry earful if she had read Allegiant and never accepted another book rec from me again (not that I’d blame her at all). Oh man, don’t I wish! That was a major typo, sorry! Guess I was just thinking about Cress too much (& hadn’t had coffee yet) and I meant to say Cinder! I know, I’ve heard that a lot, and I’m really curious about the last episode (not, that I’ve, um, seen the spoilers for it, or anything). yay I don’t have to wait alone while the rest of the world reads the book :P Honestly it’s like everyone is getting Cress. I probably don’t have the right to whine seeing that… I HAVEN’T FINISHED scarlet but STILL! I am half way through nothing will sway me from my Kai and Cinder love :P I love Wolf and Scarlet but … they don’t compare with Cinder and Kai. I absolutely adored Cinder, and I can’t wait for Cress to come out! Your recommendation story was so cute. Yeaaaaaay, congratulations! I love A long, long sleep, but I still haven’t got my own copy. This would be perfect :D! I still haven’t read Cinder yet – I am so behind. It seems like every one of my book blogging buddies has read it and adored it. D: I shall definitely read this book over the Summer break. I loved Em from All Our Yesterdays, as well. She was such an awesome character! Anyway, congratulations on your blogoversay – I hope I shall make it there one day! Me, too! It sort of felt like it could have been a standalone, but I am really interested in seeing where the author takes the story next! Oh, wow, thank you so much. It’s been awesome for me, as well! Thank you! :) I hope you love These Broken Stars and A Long, Long Sleep! Congrats! That’s a huge milestone! I love how you added the Top Five Things Blogger Friends Introduced To You This Year, especially the Gif’s! Happy Blogoversary! I have more than one person recommending me to read Cinder so I really should get to that soon! It’s so heartwarming when I read about young kids appreciating reading – so kudos to you for getting that 11 year old to pick up Cinder! Happy Blogoversary, Alice!!! The LBD and Sherlock are awesome and I’ve heard Cinder is amazing (I seriously just need to read it already!). 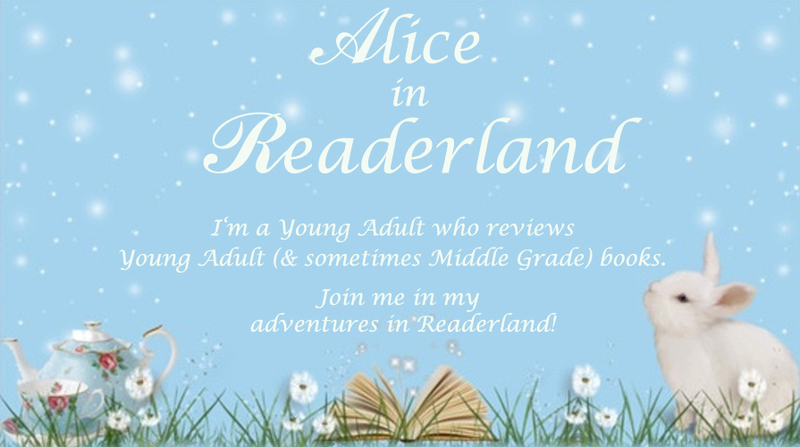 Alice in Readerland is one of my favorite blogs so I hope you have many, many more blogoversaries! Haha, those gifs! Confetti really is a pain. 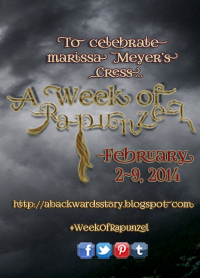 I absolutely love this post and not only because SO EXCITING A BLOGOVERSARY!!! but also because I love seeing all the stats and how in depth you are (like with the MC description). It makes me incredibly happy that you were introduced to such wonderful things like the LBD and Downton Abbey. I love all your cat gifs :) Happy anniversary!